Dr. Carolle Jean-Murat is a board-certified OB-GYN and fertility specialist, a fellow of the American College of Obstetricians and Gynecologists, a gifted medical intuitive and spiritual healer, who has helped thousands over the past four decades. She is known as Dr. Carolle to her thousands of patients. 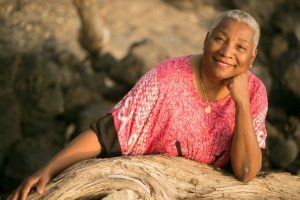 Born and raised in Haiti, she comes from a family of healers, shamans, herbalists, and midwives, today, she is a renowned board-certified gynecologist and surgeon, Dr Carolle, brings a very rare and unique talent towards helping women, focusing on their reproductive health. Dr. Carolle was the first black female OB-GYN throughout San Diego. She is a ground-breaking physician, award-winning author, speaker and teacher with an innate ability to get to the root cause of a health issue. Her medical training and methodologies, combined with her intuitive skills, bring an important piece to our holistic and comprehensive approach towards her clients. To learn more about Dr. Carolle visit this page. Dr. Carolle’s curriculum vitae, listing certifications, etc. Is your job keeping you from getting pregnant? Subscribe to my Newsletter to receive my FREE ebook Seven Steps to Finding Happiness.